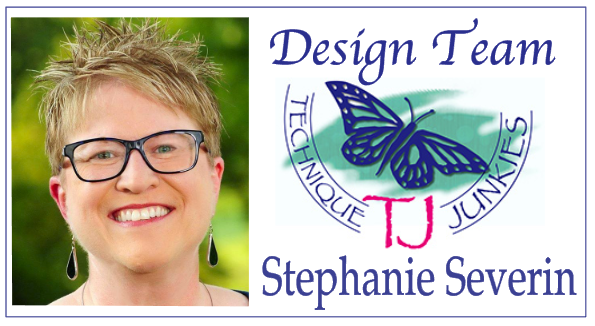 This week I had fun playing with cats. 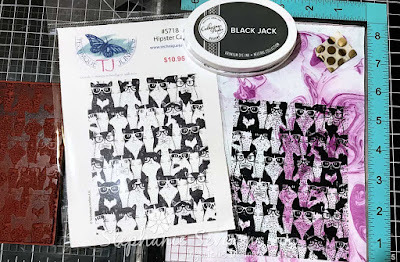 I wanted to try some unexpected ink and paper combinations with these fun Hipster Cats. 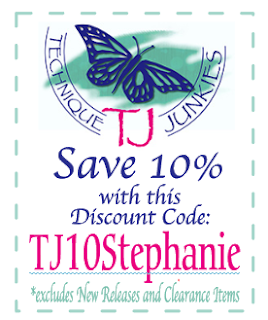 Remember, you can use my code TJ10Stephanie for 10% off your entire purchase at the Technique Junkies Store. I started by stamping the Hipster Cats in Black Jack ink on a piece of hand-marbled paper I had made. Those Hipster Cats are so fun in their glasses & bow ties. I added a bit more of the marbled paper to frame the sentiment Cats and More Cats. 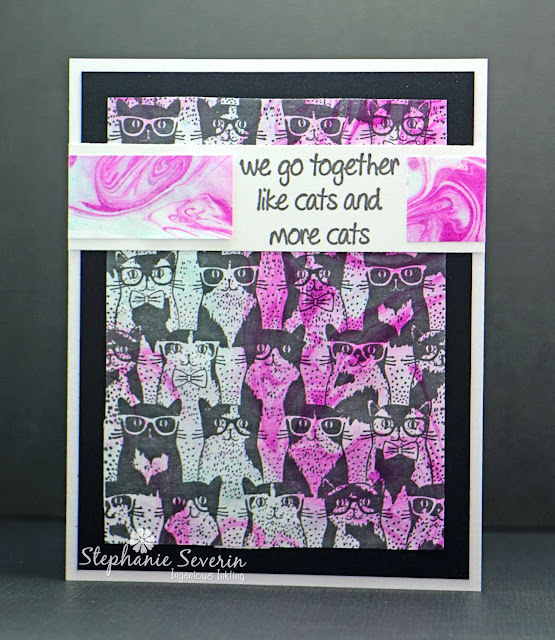 Next I stamped the Hipster Cats in Versafine Clair Twilight Ink on lavender cardstock. 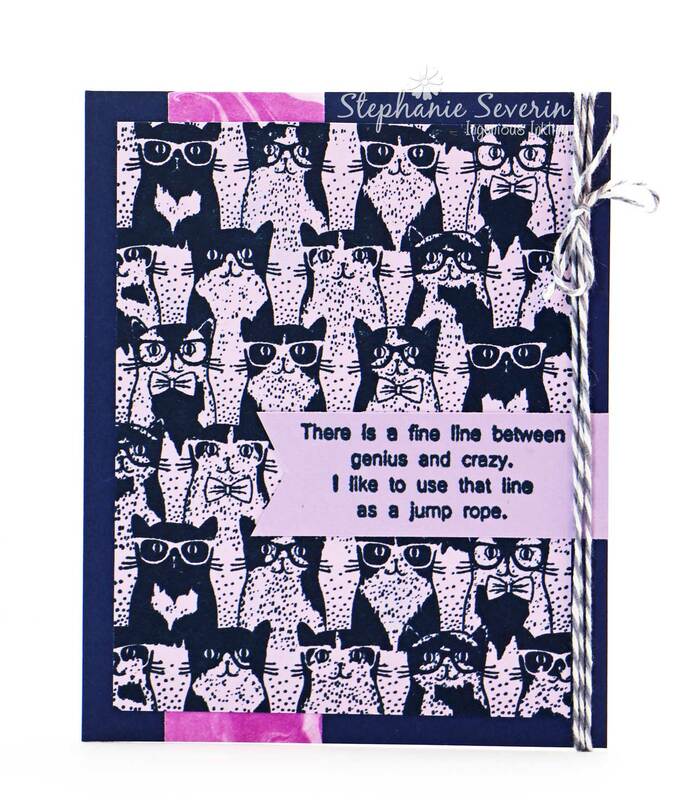 This one I paired with the Genius and Crazy Sentiment and a scrap of the hand-marbled paper. 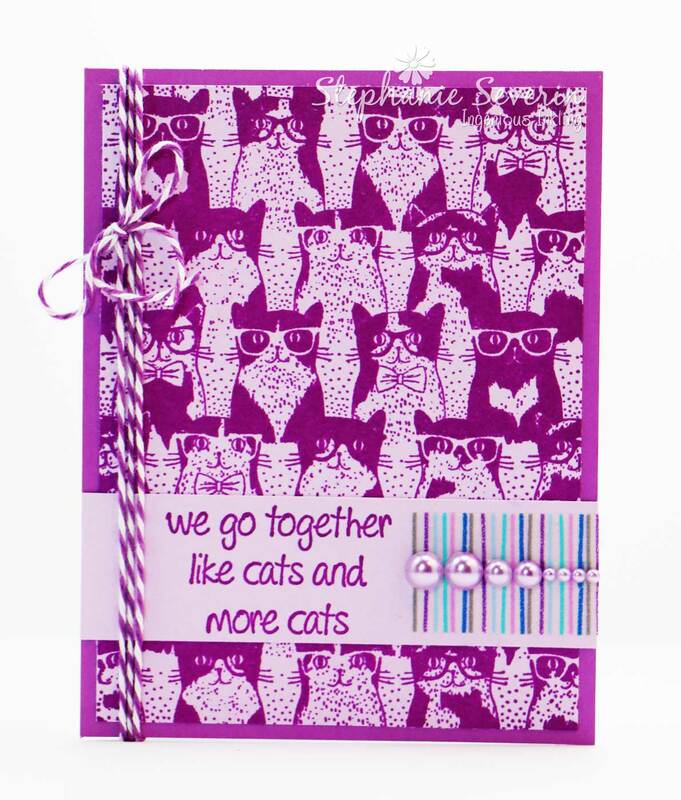 The final group of Hipster Cats was stamped in Flirty Fuchsia on the same lavender cardstock. I added some striped washi tape, pearls and a wrap of twine to these fun purple cats together with the Cats and More Cats Sentiment. Hopefully you'll look at your background stamp collection differently and try some fun and unexpected paper and ink combinations.